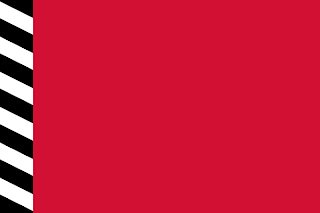 One of the earliest known flags for the Maldives was a simple red banner. Then, later, a black and white striped hoist was added to the flag, called "Dhandimathi." 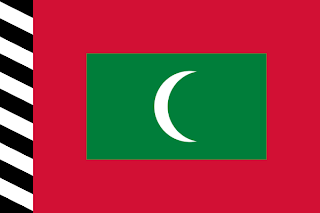 This flag remained until Abdul Majeed, some time in the early 20th century, added a crescent to the centre of the flag. At the same time, a state flag was created. The new state flag took the national flag, and added a green rectangle to the centre of the flag. 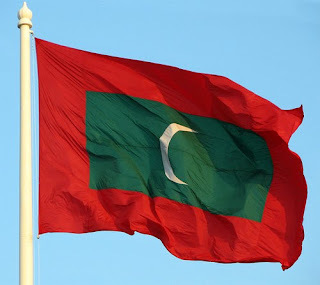 In 1953, Maldives became a republic within the British Empire, and instituted another flag change. This time, the national flag was dropped, making the state flag the national flag. Also, the crescent was switched to face the opposite way. The sultanate was restored only a year later. 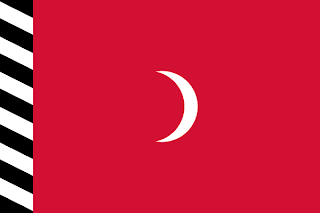 Rather than change the flag, a new state flag for the sultan was created. This new flag took the same flag as the national flag, and added a 5 point star. 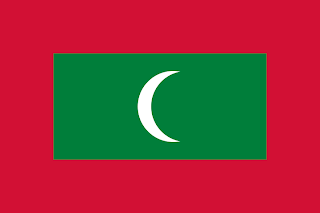 In 1965, Maldives gained independence from Britain, and in honour, the black and white strip was removed from the national flag to give us the flag we see today, and the stripping of the stripe from the state flag gives us the new sultans ensign, and then in 1968, Maldives became a republic. 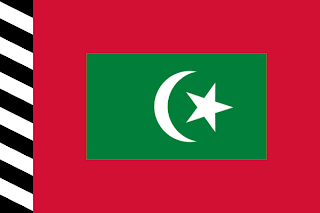 The state flag for the sultan swiftly became the state flag for the president. 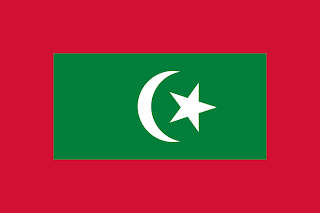 On the flag itself, the red represents the nations heroes, the green represents peace and prosperity, and the crescent moon represents the nations religion, Islam.